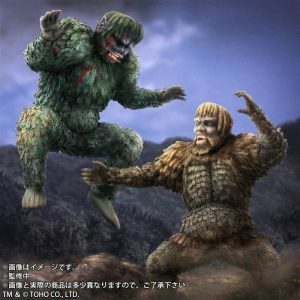 Fantastic news for those bummed out by the recent 25cm King Caesar Cancellation by X-Plus and Diamond. 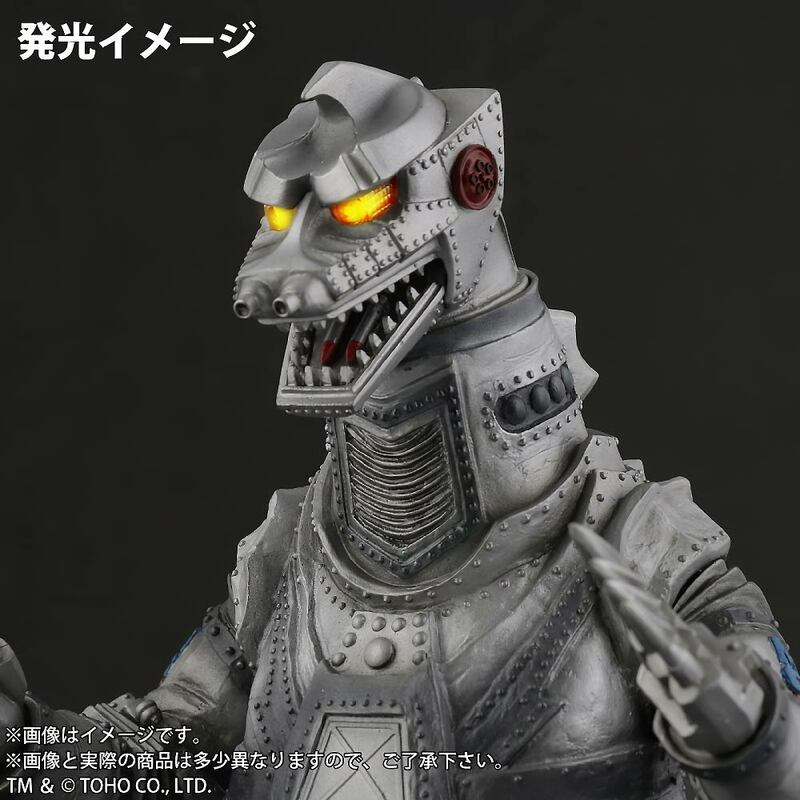 You can now order one from Japan! Preorders are open now. Read on for all of the details! 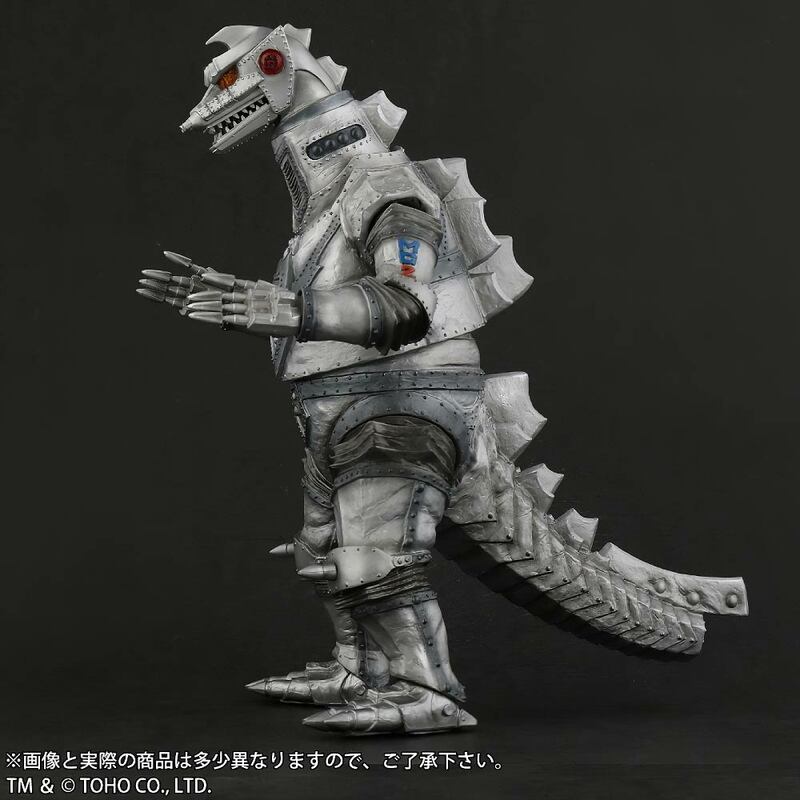 X-Plus has just opened preorders for the second Toho Large Monster Series Sanda vs. Gaira Set. 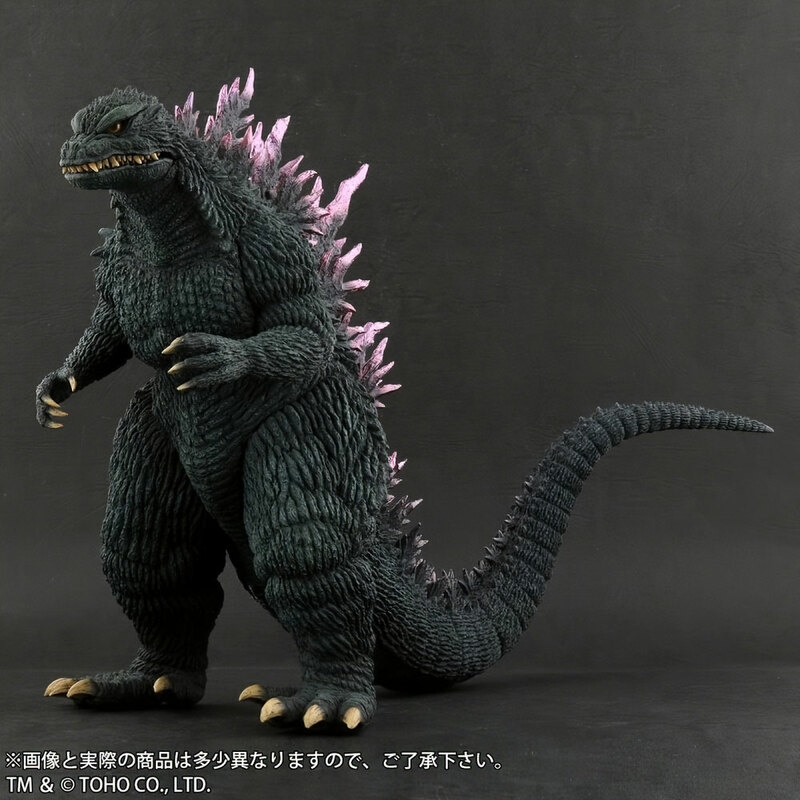 The official name doesn’t seem to have anything which sets it apart from the first 25cm Gargantuas set which went up for preorder in February 2018. Both seem to have the same name, so let’s just call this set “Version 2”. This new set was first seen at X-Plus’ table at Winter Wonderfest earlier this winter and features both Sanda and Gaira as they appeared in the 1966 film War of the Gargantuas. 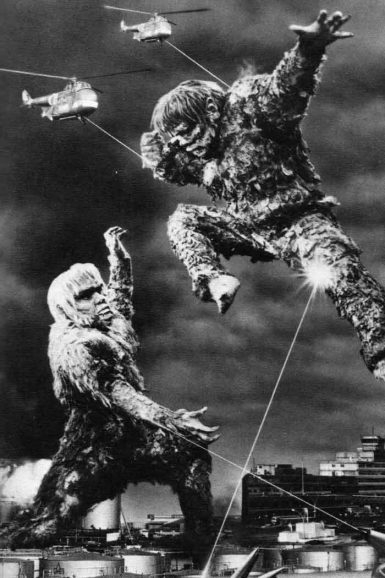 Older brother, Sanda, is posed to engage Gaira as soon as he lands. 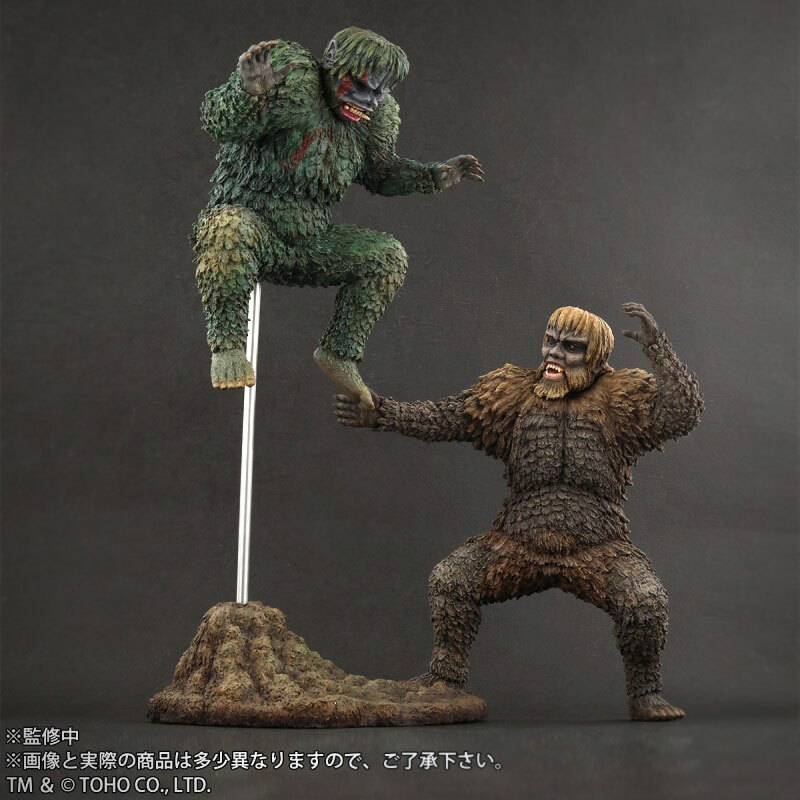 Together, this set is highly reminiscent of a publicity still made for the movie making this a very classic and special way to see these monsters on your shelf. But you may want to pass on it if you have the first set since this new release is mostly based on that first set. 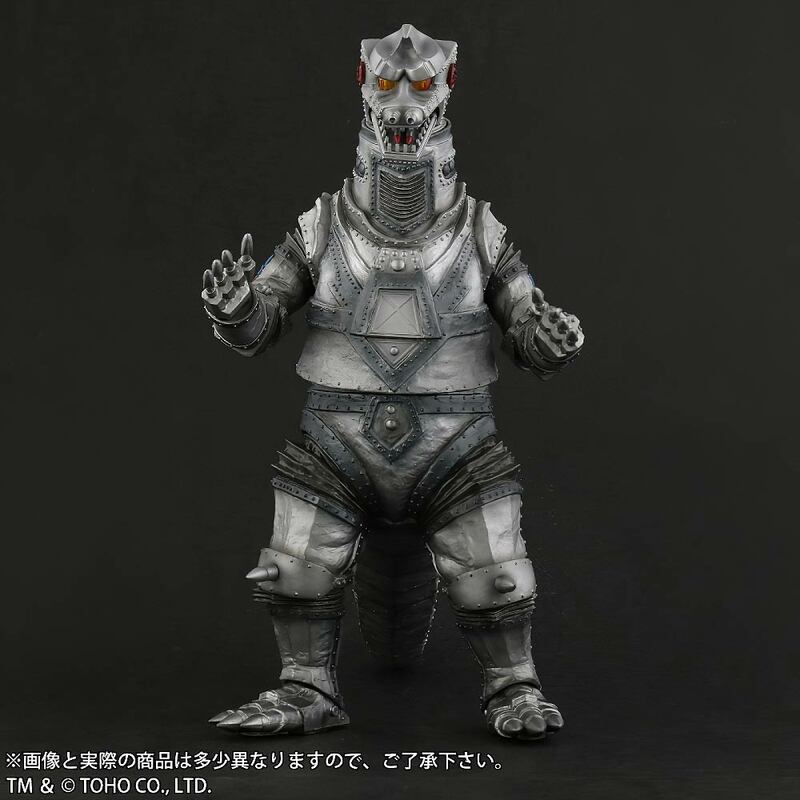 The sculpts for both Gaira and Sanda are the same from the first set… from the waist up. But the legs of both figures are newly sculpted and posed. 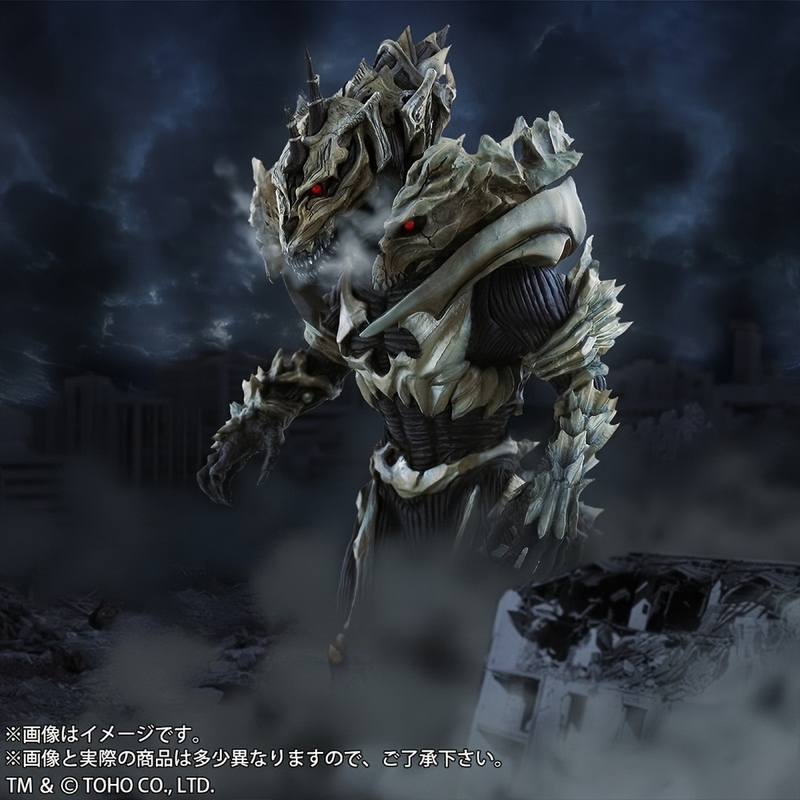 The X-Plus site reports that there are also small changes made to Sanda’s forehead. Also new is a dash of blood in the paint apps on Gaira. 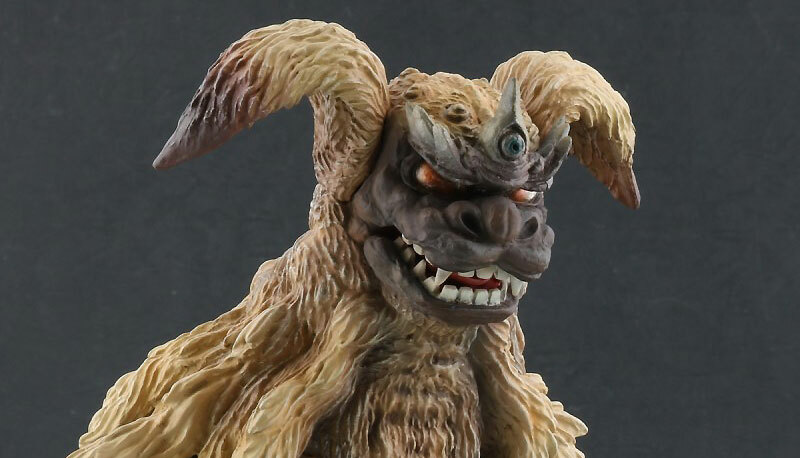 Both figures are said to have the same poseable eye system as the set that came out last year. 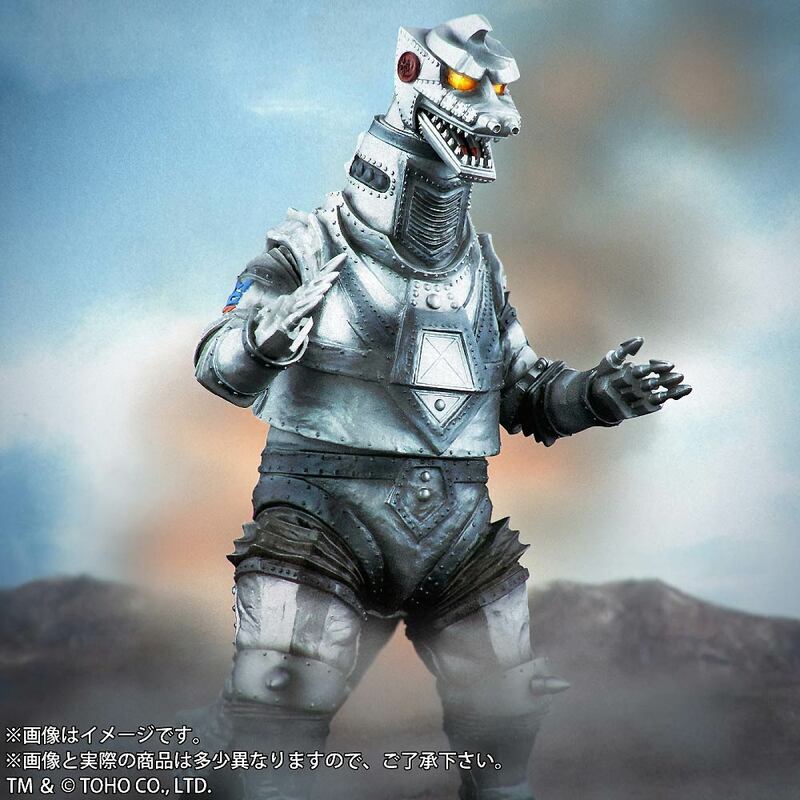 Sanda stands at at about 22cm (8.6 inches) and Gaira, with his knees up, at 19cm (7.4 inches). It seems this set is Ric Exclusive only and may not be available in stores. 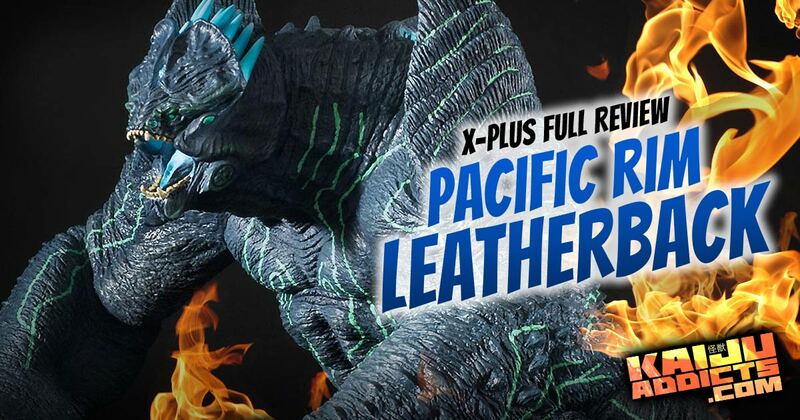 If you want this, you’ll have to get it direct from X-Plus or use dealers like Mike Johnson. We, at Flossie’s, do plan to take orders as well. Stay tuned for that. 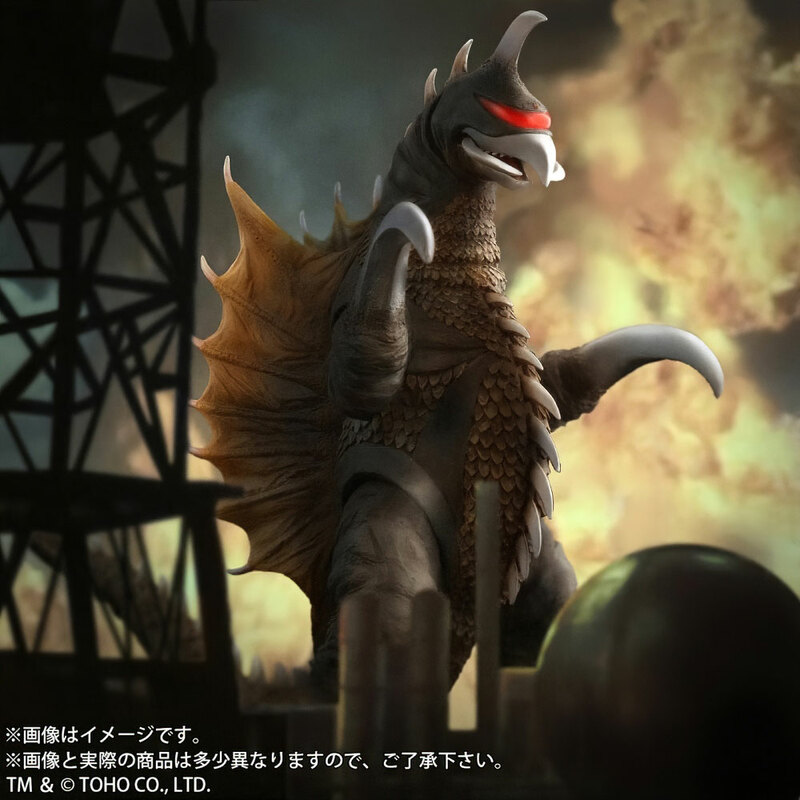 The Toho Large Monster Series Sanda vs. Gaira set is priced at ¥24,840 (currently about $227 USD). Preorders are open until February 5, 2019. This set is expected to ship in March 2019. • Click here to see more photos at the X-Plus site. 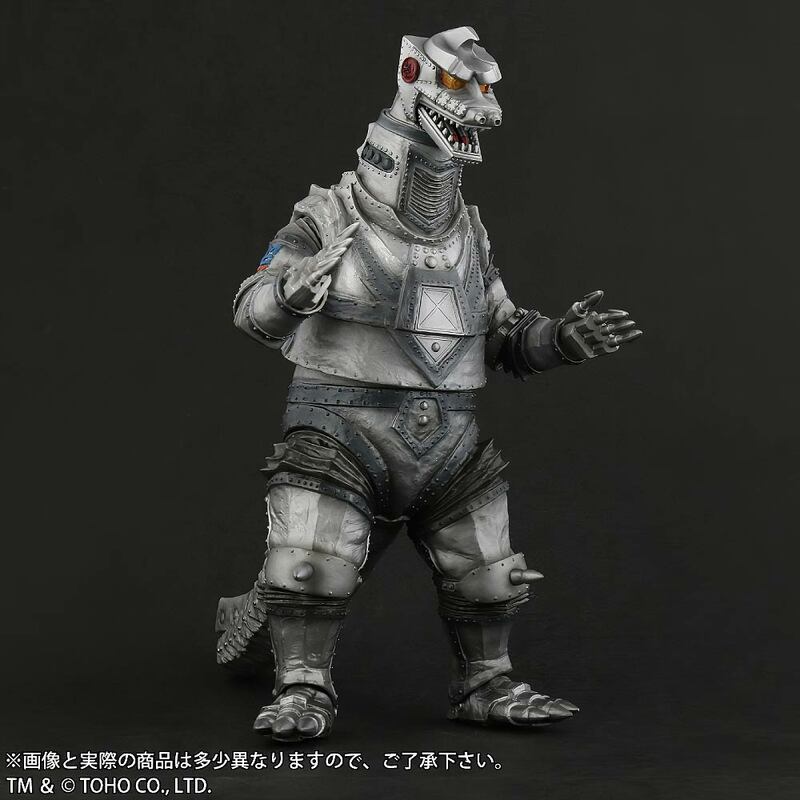 Gojira851 reviews the Daiei Large Monster Series Gamera 1999 RIC Exclusive version vinyl figure by X-Plus.